To the cloud! I want my students to be able to use the Internet to share files and collaborate with their fellow classmates. This can be a scary undertaking. In this blog article, I share with you my attempt to use OneDrive in the classroom with a class of Grade 7 students. Can OneDrive be used in the classroom easily by Grade 7 students? Showcase Student Work: I want to be able to post student work to a secure location on the Internet for select people to view. Develop a Learning Community: I want students to be able to study each other’s work to gain ideas for future projects and compose positive comments about the content. Create Web-Based Documents: I want to promote anytime, anywhere learning by having students create spreadsheets, word processing documents, and presentations using online apps. Produce a Seamless Workflow: I want students to be able to create a file at school and then complete their work at home by downloading the file from an online storage system to a desktop computer or by working using online apps. Collaborate in Joint Projects: I want students to be able to collaborate with a partner or small group to produce a document jointly by working on the same document at the same time. There are numerous file sharing options. I selected OneDrive. Why? No Learning Curve: Students already use Microsoft Office at school to create files. They are familiar with the Word, Excel, and PowerPoint commands in the Web Apps accessible through OneDrive. Free File Storage: OneDrive offers free file storage which will allow students to upload their school files to their account and then access them easily from home. Microsoft Account: More than 60% of students already have an existing Hotmail, Live, or Xbox Live account. 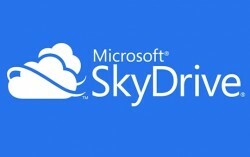 They can use these accounts to access their own OneDrive account, without having to register as a new user. Group Management: OneDrive allows a teacher to easily create a group. The group can be used to share files, showcase student work, and collaborate. Membership is easy to manage. Sharing Files is Simple: It is easy to share a file with members so that multiple people can work on the same document at the same time. Internet Connectivity: Online learning requires a stable, fast Internet connection. Unfortunately, the only way to determine if your system can handle the traffic is to try it out. User Registration: Students need to subscribe to a service and become account holders. This process can be time consuming. Reluctance to Collaborate: Not all students enjoy group work. In fact, many can’t stand working with others for a wide-range of reasons. Overcoming their reluctance is essential. I decided two weeks ago I wanted to give OneDrive a “test drive”. I set up a new Microsoft account. I then created a Group and set membership permissions. I made a folder, set the permissions, and posted maps from TechnoWonderland. I then practiced posting comments to each file. After I was successfully able to provide digital feedback I turned my attention to creating files using online apps and sharing individual files. Everything was working perfectly! Next, I asked the classroom teacher to test OneDrive (I am a guest instructor). I sent him written instructions that explained how to join the group, view group files, and post comments. He tried it out and was easily able to comment on each student’s maps. Great! Naturally, the following step was to have the students explore OneDrive. The problem is we have already had A LOT of technical issues at the beginning of the school year that derailed many lessons and created frustration. I didn’t want to stress out the students unnecessarily – especially if OneDrive turned out not to work well in the computer lab with 28 users. I decided to give the students a choice. They could complete an Amusement Park sign by following a worksheet of instructions from TechnoWonderland or they could explore OneDrive. The group was divided evenly in their selection. In our class today 11 students successfully activated their OneDrive accounts and joined the Group. Three students began providing positive comments to their classmates about their work. Overall it sounds successful…but that’s not the complete picture. Internet FROZE! For about five minutes roughly 15 machines were “locked up” and had blank screens. It doesn’t appear to be OneDrive related as no web page would load. I checked with the system administrator and she thinks the technical issue was caused by a backup the server was running. Confirmation Message is SLOW to arrive! Students without a Hotmail, Live, or Xbox Live account have to create a Microsoft account. Although it is possible to register for a new email account from Microsoft, most students prefer to use their existing gmail or yahoo accounts. To register using their existing email accounts, students must complete the form and then wait for a message to be sent from Microsoft to their gmail or yahoo account with a confirmation link. We found that the confirmation messages were not instantaneously sent so this left students waiting. Explorer Spirit: Trying out something new, with the uncertainty that it may not go well can be an unsettling place to be for many people. Only half the class elected to explore OneDrive. I think this is because many students were worried about the technical issues. The students that did participate had a great attitude. They were persistent and patient, which resulted in a 70% success rate. However, this leaves the dilemma of what to do with the other half of the students, especially in light of the fact that the process was NOT error-free and there remain many unknowns. OneDrive in the Classroom – What’s Next? At the end of class, I asked the classroom teacher if he wanted to keep exploring OneDrive. Despite the technical issues, he said “yes”. I am a bit anxious. It is difficult to try out something new knowing that technical issues might derail the entire process. However, together we formulated a plan. Next class, students will complete a task from TechnoWonderland. While students are working, the classroom teacher and I will take small groups and help them subscribe to OneDrive and join the Group. If we can get all 28 users subscribed the goal is to have students comment on each other’s work (Goals: Showcase Student Work and Develop a Learning Community). Can we do it? Will it work? I’ll keep you posted!